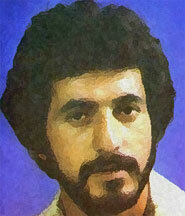 Maziar captured the heart of many with his beautiful voice in the late 1970s and then vanished from the music scene. The private artist re-emerged in 1979 by singing his most memorable song "Iran Iran" which made everyone feel the message in the song (Sattar later on sang a slightly modified version of the same song with the same name). I was thrilled to find this album so the newer generation can hear his beautiful voice and the rest of us can take a trip down memory lane.